Workplace incivility is an issue worthy of further research in public administration because incivility can potentially affect the productivity of every government and contract worker. This definition focuses on rude, disrespectful behavior that may or may not be intended to harm anyone. 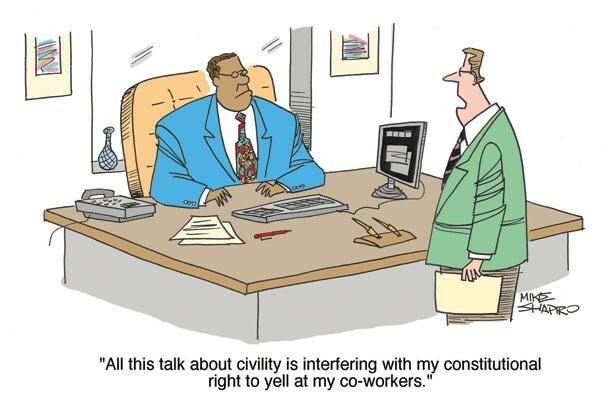 I would define workplace incivility more broadly to include intentional behavior that is short of workplace violence or illegal behavior (e.g., sexual harassment) but would include screaming, sarcasm, non-sexual harassment, pounding the desk, verbal attacks, demeaning language, etc. Sixty-six percent of people experiencing workplace incivility reported their performance declined! That squares with my observations from over 40 years in the federal government. I encountered workplace incivility – either the mild, perhaps unintentional kind or the much harsher, intentional kind. Sometimes, it was managers who were uncivil. 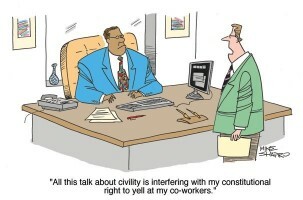 Other times, employees were uncivil to their coworkers. I noticed the negative effect on my production and the production of others. When people are fuming, they are distracted from their duties. They engage in wasteful behavior. They write unnecessary memos. Communication breaks down. An organization’s problem-solving ability is diminished. There are plenty of negative interactions in day-to-day public administration that just can’t be avoided. Government managers and contractors are constantly under pressure to increase production – to meet deadlines and control costs. Lapses in quality occur. Managers receive negative feedback from Congress or the public. A lot of negative feedback is transmitted downward in organizations. If an employee’s work turns out to have caused a problem, the employee will experience stress. If an employee’s work is returned for many corrections, he or she is going to be upset. If management or coworkers shoot down an employee’s idea, the employee will not be happy. But workplace incivility magnifies these unpleasant interactions and makes the resulting stress even worse. I recall watching contractors interact with government employees. They nearly always were on their best behavior. They made their points but nearly always performed in a highly professional manner with an absence of rudeness, sarcasms, putdowns, etc. I often thought how wonderful it would be if all interactions at work were at this professional level. On the whole, it seems that toxic behavior undermines productivity. Perhaps, there are exceptions in life-threatening situations. Or there may be exceptional managers, such as the late Steve Jobs at Apple Computer, who are so valuable to the organization it makes sense for the organization to overlook the screaming and putdowns. Shouldn’t researchers in public administration be especially concerned about workplace incivility since it appears to be so widespread and so damaging? Research should be able to determine exactly what behaviors are problematic. How much productivity is lost? Is uncivil behavior ever justified by circumstances? If managers had the weight of science behind them, they might be able to better influence the behaviors that occur in their organizations.